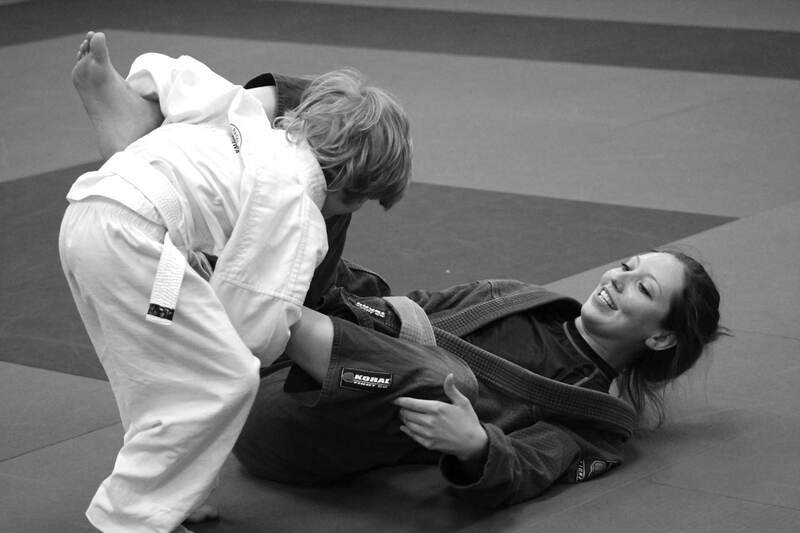 We pride ourselves in providing comprehensive, age-specific martial arts training for children of all ages. Your child will practice drills, learn techniques, and play games that help develop coor dination, confidence, and concentration while having a ton of fun in the most positive training atmosphere possible! Your child will have fun lear ning and playing while building their skills and confidence in a friendly and uplifting environment. Kids Yoga is a lively, playful class that encourages self-expression and builds social skills through fun solo, partner, and group poses. Kids enjoy a full program of learning and fun during our March Break, PD Day, and Summer Camps. Make your child’s next birthday party really stand out by having it at Grounded Studios. Win prizes at our Bring-a-Friend days or have a blast at our popular Night of the Ninja sleepover parties—where you get a night off! All of our classes are taught by professionally trained and certified Brazilian Jiu-Jitsu instructors who are passionate and dedicated to BJJ.